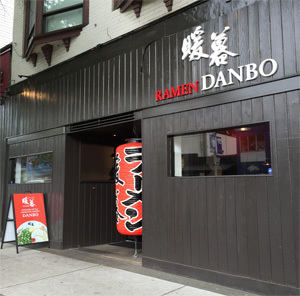 Ramen DANBO is pleased to announce our second Vancouver location, on Robson Street! Opening Thursday, Nov. 5th at 11:00 a.m.
Vancouver’s ever-expanding ramen scene can count one more contender for stellar slurp-able noodles and soup. Ramen Danbo, located in Kitsilano on 4th near Burrard, has recently opened its doors, serving up steaming bowls of specialty broth and noodles with a few custom twists….